01142013_Becherer_Egypt010: Global News Events: Global News Portfolio: New Orleans based Photojournalist covering the Deep South and beyond. GIZA, EGYPT. 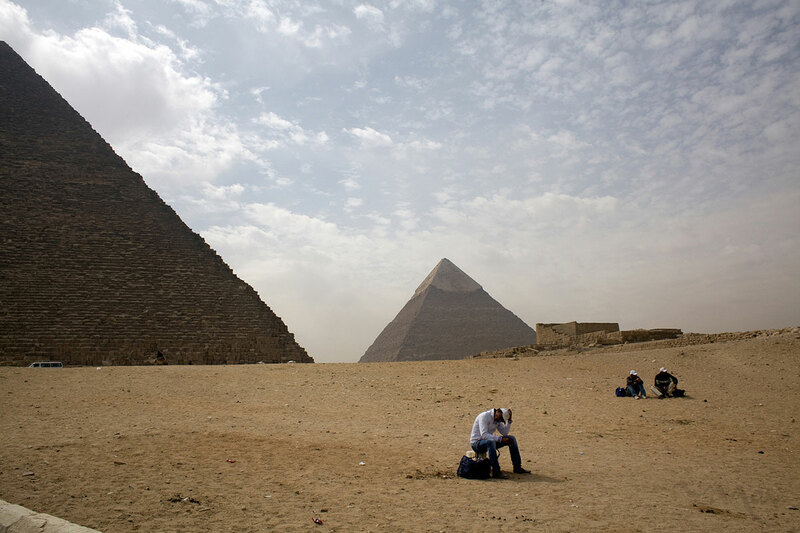 Egyptian trinket sellers wait for tourists at the pyramids of Giza, in Cairo, Egypt on Sunday March 11, 2012. Egypt saw an 18 percent drop in tourist nights spent in the country in 2011 and the numbers have not improved in 2012 according to the United Nations World Tourism Organization, the premier tourism organization which participated in the ITB Berlin travel fare last week.